Dualit have been developing and producing Nespresso® compatible* capsules for five years. Our objective is to provide the finest coffee beans, encapsulated within the latest capsule technology, all sealed with the highest quality manufacturing and food safety. All this makes Dualit the first choice for private label coffee capsules. Be part of the espresso revolution! If you want to rapidly be part of a market that has continued to grow then look no further, Dualit are impressively outperforming the market. By trusting Dualit with your prestigious brand you will embark on an own label coffee capsule adventure by offering the best pods, satisfying customers, retaining valued customers and growing your business. Dualit make the finest coffee Dualit and Nespresso® compatible* capsules, as a result of detailed engineering and quality control that deliver the best espresso and customer experience. Watch how our capsules are made! Dualit private label capsules are sealed with engineering expertise, manufacturing know-how and the finest quality coffee and tea for that all important taste and aroma of the indulgent coffee or refreshing tea locked in a well engineered pod. Dualit are the only Nespresso® compatible* capsule producer to have been taken to court by Nespresso® and won. Dualit are the only company that can offer clients protection against action that Nespresso® may take in terms of enforcing patents. 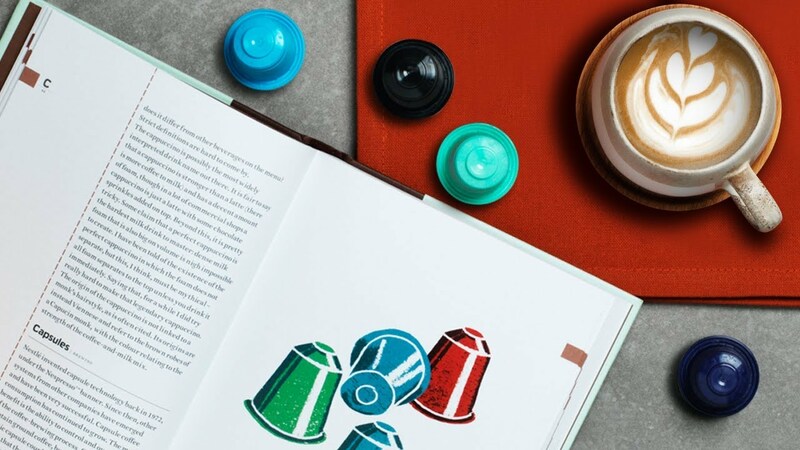 Do not risk legal action with your own label coffee capsules, we understand the associated risks and have intellectual property around Nespresso® compatible* capsules that can protect your brand. Not all capsules are born equal, we are the only capsule brand who manufacture our own coffee and tea capsules in the UK. There is much more to capsules than ground coffee and a capsule casing. We have a dedicated engineering team who research, develop and tirelessly test to ensure the best Nespresso® compatible* capsule to deliver that great tasting espresso. Dualit's engineering and production teams are based at our head office in West Sussex, this enables us to optimise production process allowing Dualit to achieve perfection, growth and success. Dualit engineers regularly conduct trails on new machine releases and carry out compatibility testing to ensure optimum capsule performance. Customers trust Dualit and have associated the brand with outstanding quality products for over 70 years. Dualit have ability to maintain stringent quality and food safety procedures and have certifications to prove it. These procedures enable Dualit to confidently produce the best tasting Nespresso® compatible* capsules. Nothing gets the seal of approval until it has been tested. Dualit understand the importance of delivering the greatest customer experience and we do not leave anything to chance. Failure to maintain below 2% oxygen content inside the capsule results in stale coffee, leading to poor taste and crèma. Dualit control and minimise leakage into drip tray during extraction, failure to do so results in loss of pressure which negatively affects taste. Flow rate and pressure combined create the ideal extraction rate, Dualit ensure this is just right, in turn delivering a consistently perfect espresso. Fast extraction leads to loss of pressure, resulting in under extracted, weak coffee and slow extraction leads to a buildup of high pressure, resulting in over extracted, bitter coffee. The crema holds the key to optimum extraction, if the crema withstands a 5 minute crema test Dualit know the espresso has perfectly extracted and will tastes great. Launch your coffee capsules now! Do you have an exceptional coffee you want to share with the world of Nespresso® machine owners? Well your very own private label Nespresso® compatible* capsules are closer than you think. Our minimum order quantity is smaller than you think! All Dualit require is 300kg per flavour of your freshly roasted coffee beans and we will produce the best coffee capsules you've tasted, all right here in the UK. Dualit will encapsulate your coffee and provide samples for approval. Confirm packaging option requirement and artwork, Dualit offer flexibility and have options to suit all budgets. We are nearly there, confirmation of coffee, packaging and our range of capsule colours. Dualit will produce 50000* capsules, 5000* packs of your private label coffee pods. Let your customers enjoy your coffee shop quality at home! Dualit offer four exceptional tasting Fairtrade coffee blends, the rich flavours, enticing aromas and perfect crema offer something for every coffee drinker from intense indulgent espresso to a smooth, everyday favourite Lungo Americano. Our patented pods are hermetically sealed, this means the coffee in the pods will stay fresh until used. We use the finest Arabica and Robusta beans that have been carefully selected by expert Q Grader coffee tasters from the world's finest growing regions. Helping the environment one espresso at a time with our new compostable capsules. Dualit believe that sustainability is the vital ingredient in coffee, this is why we offer Dualit and Nespresso® compatible* COMPOSTABLE CAPSULES. Discover rich flavours and enticing aromas of single origin coffee from Indian and Indonesia. 100% compostable capsule derived from corn starch, the pod, lid and protective bag can be placed in food waste bins for industrial composting, home composting times will vary. Each premium coffee is grown in a single geographic location by groups of small farms, dedicated to supporting their communities and environment. Dare to be different! Try Tea Capsules! Looking for a unique product, look no further! Offer more to Dualit and Nespresso® machine users with a range of exceptional, taste-boosting tea blends and infusions with breakthrough extraction in seconds. Patented microfiltration for optimised flavour extraction, clarity, consistency and exceptional taste. Multi patented capsule to ensure exceptional extraction in Nespresso® machines. Great Taste 2015 winner for invigorating Peppermint Tea. Great Taste 2015 winner for refreshing Green Tea. Want to speak to one of the team about your requirements, then give us a call! Dualit capsules are compatible with domestic Nespresso® drop through capsule machines. excluding professional and 'built in' models.